Chhattisgarh State Power Holding Company Limited has recently released the notification for employment of DEO Vacancy. 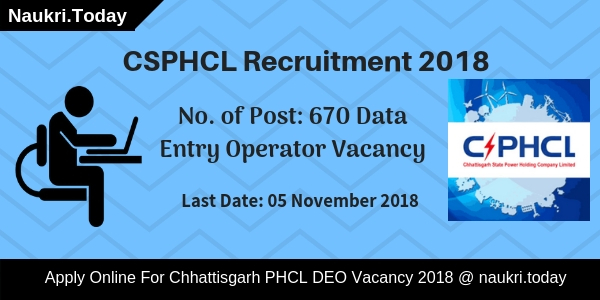 In CSPHCL Recruitment 2018, there are 670 Data Entry Operator Vacancy. Those applicants interested and eligible may apply through online mode either here or official site. The online registration for Chhattisgarh PHCL DEO Jobs is starting on 06th October 2018. Applicants can submit their application form till the last date 05th November 2018. Only eligible candidates can fill online form of CSPHCL Vacancy 2018. Rest information you can collect from below paragraphs. Chhattisgarh PHCL Vacancy notification has released for filling up 670 DEO Jobs. This is a great opportunity for candidates those are fulfilling eligibility conditions. The CSPHCL Recruitment 2018 online form is available from 06.10.2018 to 05.11.2018. Furthermore information such as How to apply for CSPHCL Jobs 2018 for DEO? eligibility criteria, application fees, pay scale, selection procedure are mention on below segment. So must read the full article to collect information Chhattisgarh PHCL DEO Vacancy 2018. Candidates who want to apply for CSPHCL DEO Recruitment 2018 must fulfill eligibility criteria also. The eligibility criteria are decided as on 01.10.2018. Applicants must check given below education qualification, age limit and other details to ensure that they are eligible or not for CSPHCL Recruitment 2018. In English and Hindi must have minimum 5000 key depression per hour. Furthermore, information checks CSPHCL DEO Vacancy Official notification. The minimum age required for apply CSPHCL Recruitment 2018 is 18 years as on 01.10.2018. Upper age limit and age relaxation category wise mention asunder. 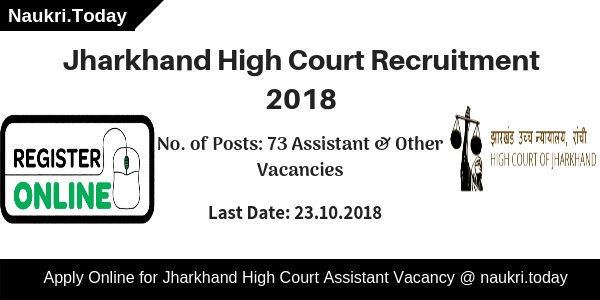 For more details check Chhattisgarh PHCL Recruitment notification 2018. Selection of the applicants for Chhattisgarh PHCL DEO Recruitment through written exam and typing test. 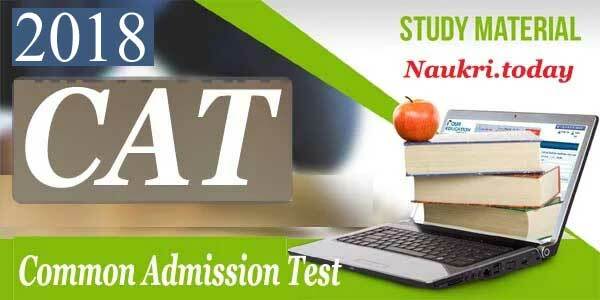 Final merit list will prepare according to how many marks secured in written test & typing test. A merit list will prepare by the department to shortlisted candidates for CSPHCL Recruitment 2018. Details of written examination and typing test mention below. General & OBC candidates must get minimum 40% marks to participate in the next round. While those are belonging to SC/ST category will get minimum 30% marks. After that candidates will participate in typing test for CSPHCL Recruitment 2018. Check details of typing test. Those are belonging to General & OBC category minimum 35/50 marks earned in typing test. SC/ST candidates will get minimum 30/50 marks in typing test. Furthermore, details you can collect from Chhattisgarh PHCL Exam Syllabus 2018. Candidates who want to fill successfully their application form also required to pay a fee. Fees once paid will not refundable in any conditions. So those candidates belonging to General & OBC category have to pay Rs. 700/- toward CSPHCL Job application fees. While SC/ST candidates need to pay Rs. 500/-. The application fees of CSPHCL DEO Recruitment 2018 pay through online mode using credit card/debit card/net banking. Those candidates are selected for Chhattisgarh PHCL Recruitment for DEO post will receive a monthly income. 02 years probation period for Data Entry Operator Vacancy. They will receive Rs. 19800/- to Rs. 62600/- as per pay matrix level S-4. Furthermore, details check CHPSCL DEO Bharti notification. Interested and eligible candidates may apply through online mode. The last date of registration for CSPHCL DEO Job is 05.11.2018. Before going to fill up the application form, candidates must have valid email id and mobile no. Applicants also keep scan copy of photograph and signature for CSPHCL Vacancy 2018. Furthermore, you can collect from below segment. First of all, go to the official website cspdcl.co.in. Click on the link apply online for CSPHCL DEO Recruitment 2018. Now select your area and then a new window will open on your screen. Click on I Agree on button and your CHSHCL Job Application Form in front of you. Enter your details like personal, gender, educational and others required. Upload signature and photograph on your CSPHCL Recruitment online form. Take the hard copy of Chhattisgarh PHCL DEO Recruitment 2018 application form. You can directly apply online through click on below link. Conclusion: Chhattisgarh Power Holding Company Limited is inviting online application for employment of 670 DEO jobs. Applicants those are fulfilled eligibility criteria may apply through online mode on here or official site also. You can fill your CSPHCL Recruitment 2018 online form till on 05.11.2018. CSPHCL Recruitment 2018 – Chhattisgarh State Power Holding Company Limited has announced 1600 Vacancies for the Post of Line Attendant in various cities. Participants will check here eligibility criteria, age limit and selection process for CSPHCL Vacancy 2018. Eligible aspirants can register online from 27. June.2018. Chhattisgarh PHCL Vacancy 2018 is available in different areas such as Jabalpur, Raipur, Bilaspur, and Durg-Rajnandgaon. for more information candidates should read the complete article carefully. Chhattisgarh State Power Holding Company Limited has released 1600 Line Attendant Vacancies. Candidates can apply online up to 26.07.2018 for CSPHCL Recruitment 2018. Applicants who have Chhattisgarh Domicile Certificate can apply for CSPHCL Line Attendant Jobs 2018. No other state candidates are allowed to apply for Chhattisgarh PHCL Line Attendant Bharti 2018. Applicants must apply online before the last date has passed. Here we gave links to download CSPHCL Notification 2018. Candidates should check here area wise classification of vacancies for Chhattisgarh PHCL Jobs 2018. Chhattisgarh State Power Holding company Limited has issued 1600 Vacancies in a different area. Candidates can apply according to their suitable area for CSPHCL Recruitment 2018. Candidates must fill up their application forms correctly otherwise their forms will be rejected. Participants should read this section carefully before applying for CSPHCL Line Attendant Jobs 2018. Candidates may download Chhattisgarh PHCL Notification 2018 from links given a blow. 10th Pass applicants are allowed to take part in CHPSCL Recruitment 2018. Candidates who occurred more marks in 10th class are selected first. So applicants must arrange their all original documents before document verification. For furthermore information applicants should read official CSPHCL Notification 2018. Here we gave you links to download Chhattisgarh PHCL Line Attendant Jobs 2018 notification. Participants should complete 18 years of age and not more than 35 years of age as on 01.June.2018 are eligible for CSPHCL Recruitment 2018. Candidates who do not occur in this age criteria are not allowed to apply for Line Attendant Post. So candidates should calculate their age before applying for CSPHCL Line Attendant Jobs 2018. Candidates must apply online either from here or from the official website for Chhattisgarh PHCL Line Attendant Recruitment 2018. CSPHCL should pay salary according to zone wise for Chhattisgarh PHCL Bharti 2018. Area are divided in three zones such as A, B, and C. Selected applicants are paid according to their zone pay Matrix. Here we provided you zone wise list of pay scale for CSPHCL Recruitment 2018. Selection of candidates should be done on the basis of Merit List. Merit List will be created according to marks obtained in 10th Class by aspirants. Participants who are selected in CSPHCL Bharti 2018 will call for Document Verification. Applicants should download Official Chhattisgarh PHCL Notification to collect further more information regarding the selection process. Candidates can apply from links mentioned here for CSPHCL Vacancy 2018. Candidates of General and OBS Category should pay Rs. 150 for an Application Fee. Applicants who belong to SC/ ST/ OBC Category need to pay only Rs. 100 as an application fee for CSPHCL Jobs 2018. Participants can pay their Application Fee through Credit Card, Debit Card and Internet Banking for Chhattisgarh PHCL Vacancy 2018. Participants should be registered online before the last date. Before filling up application form aspirants may read all the above details carefully for CSPHCL Line Attendant Recruitment 2018. Candidates can deposit their application fee through Internet Banking, Credit Card and Debit Card 2018. These steps will help you to easily download CSPHCL Notification 2018. Participants may search for Official Chhattisgarh PHCL Notification at home page. After that click on CSPHCL Recruitment 2018 notification PDF. Now Aspirants should read the complete notification. Eligible candidates must registered online for CSPHCL Bharti 2018. Now after fill up application form candidate should pay their application fee. Participants must note down ID Password and Registration Number for Feature use. Conclusion: Chhattisgarh State Power Holding Company Limited has issued 1600 Line Attendant Post. Participants should check here eligibility criteria, age limit and pay scale for CSPHCL Recruitment 2018. Aspirants must apply online from 27.06.2018 to 26.07.2018 for CSPHCL Line Attendant Vacancy 2018. Chhattisgarh State Power Holding Company Limited (CSPHCL) has recently issue employment notification for filling up 393 AE & JE Vacancies. CSPHCL Recruitment 2018 recruitment notification is raised for 393 Assistant Engineer & Junior Engineer vacancies. Interested and eligible candidates may apply through online mode. CSPHCL AE Jobs online form is available from 11th April 2018. Applicants who are going to apply must fill CSPHCL Vacancy online form till last date 02.05.2018. Furthermore information you can coolect to readout our full article. Chhattisgarh SPHCL is inviting online application for recruitment of 393 AE & JE (Trainee) Jobs. This is good opportunity for candidates who have engineering diploma & Degree. CSPHCL JE Recruitment qualification more details are mention on eligibility segment. Applicants who are interested and fulfill eligibility criteria can apply here for CSPHCL Jobs. Furthermore information like application fees, selection criteria, how to fill online form & others are mention below. Applicants who wish to apply online for Chhattisgarh PHCL Recruitment should check that they are eligible or not. It comprises information of education qualification, age limit and others. So before going to fill must check given below eligibility details. Applicant must have Engineering Degree/ 03 years diploma in relevant trade for CSPHCL Recruitment 2018. Applicants degree should be taken from any recognized university. Furthermore information check official CSPHCL Notification 2018. The age criteria will be made on the basis of 01.01.2018. Both category of recruitment have different age criteria. Age criteria of CSPHCL AE & JE Vacancy you require to read given below section. Applicants who are already working with department are exempted for CSPHCL Recruitment fees. Payment of fees through online mode only. Furthermore information check Chhattisgarh CSPHCL Job Notification 2018. Applicants selection will be made on the basis of examination and interview. First Computer based test organized by the department. It comprises 100 objective multiple questions. the duration of examination is 02 hours. The CBT is divided into two parts. In part I 80 multiple choice questions of professional subject asked for CSPHCL JE Jobs. Then after 20 questions of general awareness and reasoning asked by candidates. For more information check CSPHCL Recruitment Notification 2018. Applicants who are going to apply for CSPHCL Junior Engineer Vacancy may apply through online mode. Before going to fill online application form you must have valid email id, mobile no. & scan copy of documents. Here in below section we are also mention simple steps to fill online application form. Go to Recruitment Segment and download CSPHCL Assistant Engineer Job Notification. Read the advertisement of AE & JE carefully. After then go to apply online link. Enter all require information on your CSPHCL Recruitment 2018 Online Form. After then upload photograph & signature. Submit your CSPHCL AE Vacancy Application form. Take print out of your fill up form for future uses. Applicants can direct apply for CSPHCL JE Recruitment through below links. Conclusion : Chhattisgarh State Power Holding Company Limited advertisement published for 393 JE & AE Vacancy. Apply online for CSPHCL Recruitment 2018 either here or official site. The online registration will starts from 11.04.2018. Last date of filling CSPHCL JE Recruitment is 02.05.2018.